Welcome Giveaway with Plant & Color!! Well, here we are, ladies and gents!! I’m Jessica Brigham and this is my online magazine all about how to live Magazine Ready for Life. I’d like to cordially welcome you all to my little space of the blog-i-verse. And what’s the best way to do that? A giveaway of course! I’ve partnered with the superbly creative Irene at Plant & Color to offer one lucky winner an ahhhmazingly ahhhdorable ahhhnimal air planter!!! 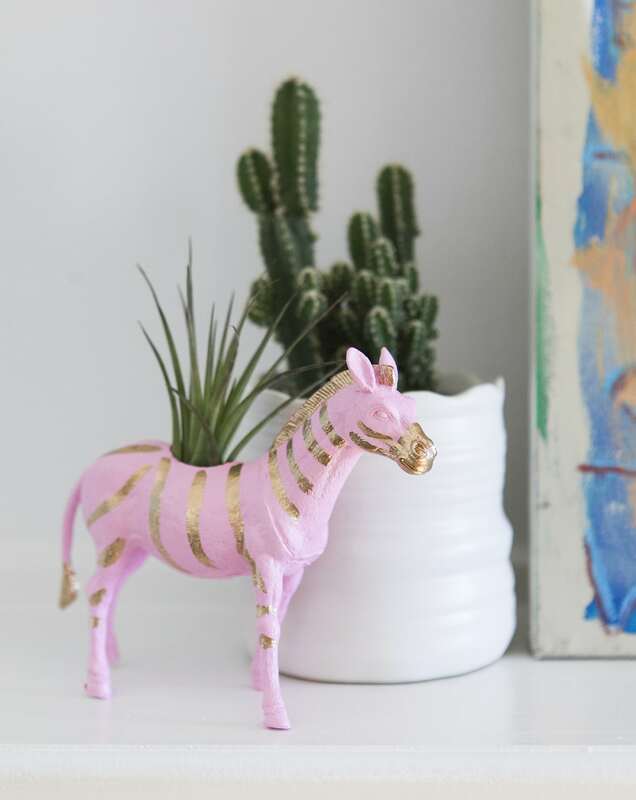 This pink & gold zebra stole my heart the moment I saw it, I even made sure to snag one for myself. Click here to find the details on how to enter on Instagram! Sending big hugs and huge thanks to my sweet Irene for participating in my very first giveaway and believing in my humble beginnings!! Now, go forth and enter, my green thumbers. Four Modern Easter Tablescapes That Slay + A FREE CHECKLIST!